Witlof is a much-loved vegetable in the Netherlands. 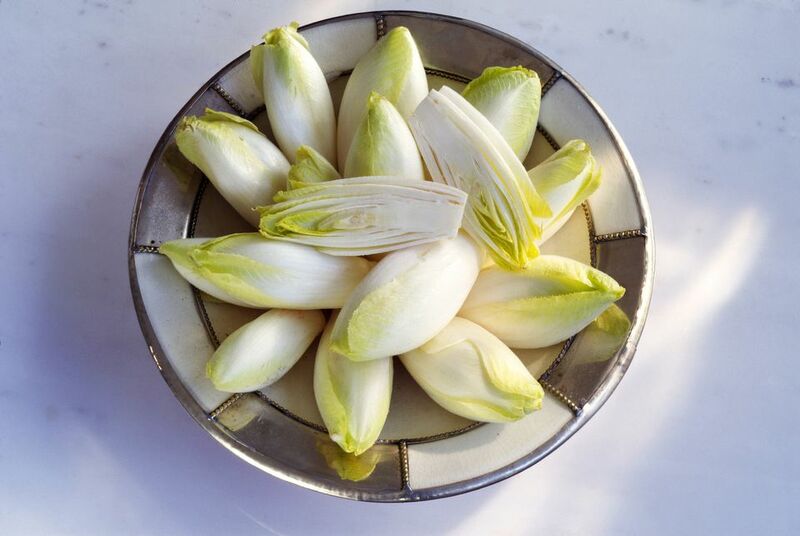 Better known as Belgian endive in the States, it is one of the three types of cultivated chicory (radicchio and Sugarloaf are the other two) that come in many varieties. Belgian endive is not only readily available year-round but also is extremely low in carbohydrates, making it ideal for those on low-carb diets. It can be used raw or cooked in endless ways. The following ways to use witlof are from Smaakvrienden by Angélique Schmeinck, a guide to tips, pairings, and recipes for some 80 vegetables. These ideas have been translated and listed here with the permission of the publisher. Caramelize witlof in a little butter with maple syrup and sherry vinegar. Serve with pike perch and baked ceps (porcini mushrooms). Make stamppot with mashed potatoes and finely sliced raw witlof and serve it with veal sweetbreads, mushroom salsa, and aged boerenkaas. Sauté witlof in butter until soft and then cook it with Trappist beer, honey, and sage until caramelized. Make a salad by mixing julienned witlof with sour cream, pear, walnuts, and crisp-baked pancetta. Bake a witlof tarte tatin prepared with date syrup, aceto balsamico (balsamic vinegar), and thyme. Stew witlof in butter with orange juice and zest and lemongrass and serve with grilled salmon and hollandaise sauce. Make a salad with raw witlof, and serve with a yogurt and chive dressing, green apple, and herring.